Photo by David Appelby ©2013 Fox Searchlight. All Rights Reserved. Photo ©2013 Fox Searchlight. All Rights Reserved. ©2013 Fox Searchlight. All Rights Reserved. Gugu Mbatha-Raw. Photo by David Appelby ©2013 Fox Searchlight. All Rights Reserved. 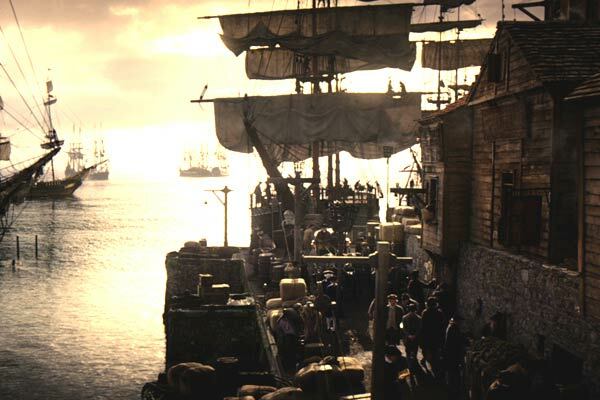 The gritty Bristol docks were created on the Isle of Man. 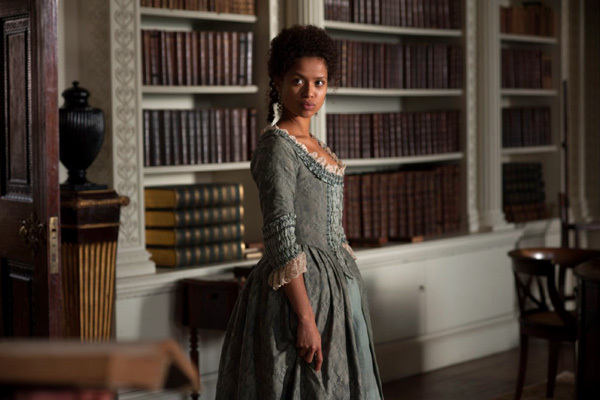 Dido Elizabeth Belle Lindsay [Gugu Mbatha-Raw] was born into controversy, as the illegitimate daughter of Sir John Lindsay [Matthew Goode], a Royal Navy captain, and Maria Belle, an African woman in the West Indies. 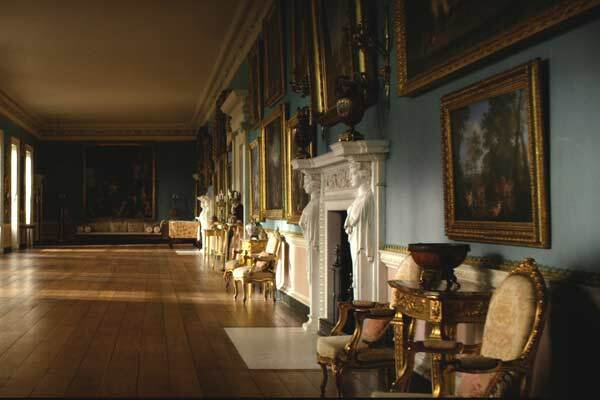 Rather than ignore his illicit daughter, the seafaring Lindsay brought her home to England and asked her childless great uncle – none other than Lord Mansfield [Tom Wilkinson], the renowned legal genius and Lord Chief Justice of England – and his wife, Lady Mansfield [Emily Watson], to raise Dido at Kenwood House, their grand manor home in the country. 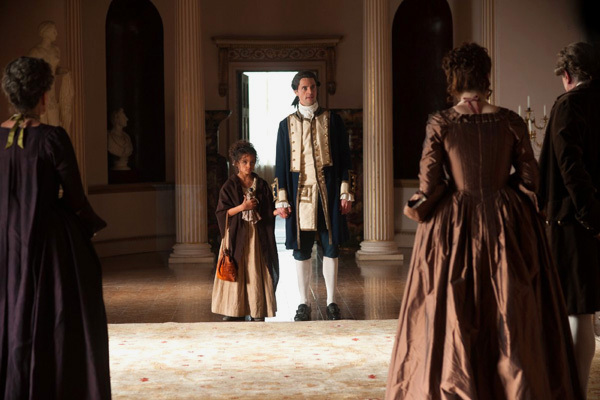 There, she became the companion of her half-cousin, the Lady Elizabeth Murray [Sarah Gadon], whose father also left her in Lord and Lady Mansfield’s care. They grow up together at Kenwood and come out into society just as London is seized by a growing movement to abolish the British slave trade for good. Do they make their decisions for the future based on society’s dictates or their hearts? Asante talks with SET DECOR about the intriguing challenges in the making of this revealing and visually elegant film. 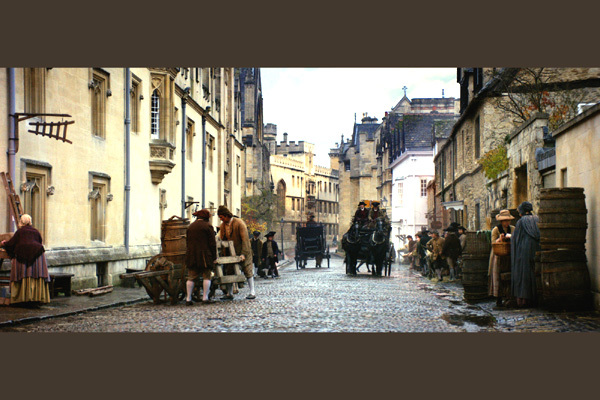 SET DECOR: You surrounded yourself with highest quality in each of the fields, whether in front of or behind the camera, including Cinematographer Ben Smithard, Production Designer Simon Bowles and Set Decorator Tina Jones. Could you tell us about collaborating with them to bring about your vision for the film? 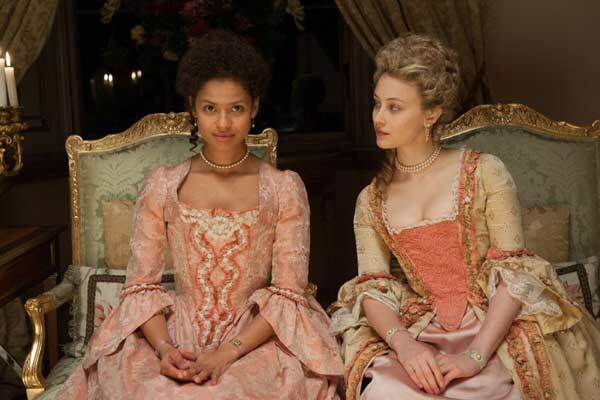 Director Amma Asante: Yes! You know, it’s such a cliché, but they were like family. Simon Bowles came on first. It was so early that we called it pre-pre-production! When I met with him for the first time, I had a mood board and he had put together some fantastic ideas from what he knew I wanted on screen and what he felt that he could do. 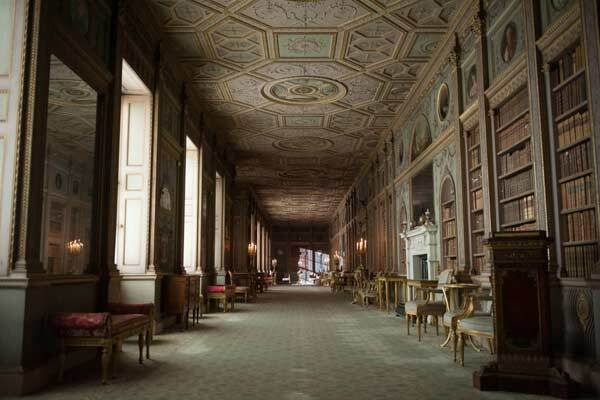 One of the big questions was, “How are we going to get that vast kind of sweeping scale that I need?” For instance, I wanted the film to open with the shipping docks which were at the center of the slave trade, and then go along with Dido to the gorgeous world of Kenwood House. 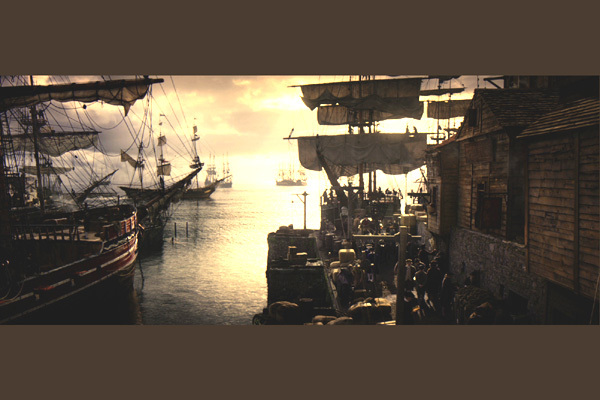 So he had put together some images of the docks and vistas, and interior images as well…inspiration images…and we instantly connected. I’m a control freak and I need to work with control freaks, because the love is in the details. Asante: Yes, that is the set decorator’s job! This worked out perfectly. I think the hardest part of collaborating is finding the right person in the first place, making the right decisions. So I knew I had made the right decision with Simon, which led to the right set decorator as well, of course. I knew I wanted to shoot it wide screen, because I wanted to work with a lot of 2-shots, to put Dido as often as possible in a context. I wanted to have her with someone else beside her to point out the fact that she was the only one. She was the only woman of color in her world. Ben brought his set of ideas about shooting the film, and we all got on beautifully. I loved their attention to detail. You know, we were building the platform of this movie we were going to make together, and when you work with control freaks, they are not going to compromise in any way. There wouldn’t be a detail that would get past Simon’s eyes in terms of being correct for the period. And I told Ben that no ugly shots would work in the film. SET DECOR: And if they provide you with the beauty and context, you’re ahead of the game right there. Asante: Yes, exactly. And they could. And they did! SET DECOR: Let’s talk about some of the details. 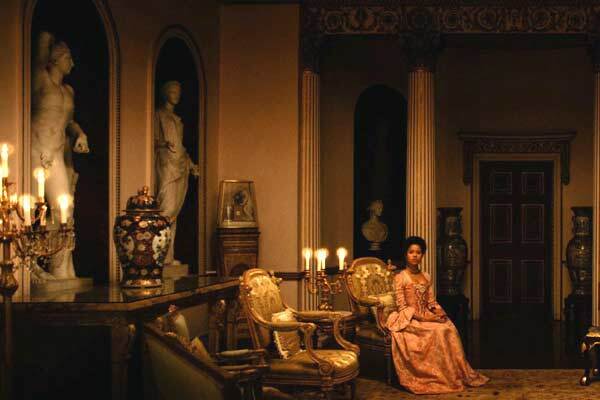 Of course, everything began with the amazing 1779 painting of Dido Elizabeth Belle Lindsay and Lady Elizabeth Murray which currently hangs in Scone Palace in Scotland. Asante: It’s an outstanding piece of art. It was one of the first portraits in England that we know of to depict a person of color next to a white person, and it’s clear the two girls are equals. Lord Mansfield commissioned the portrait. He chose to make Dido a central part of the family, and enshrine her in the painting that still exists today. I’m in awe of the level of courage that must have taken. Asante: They did. 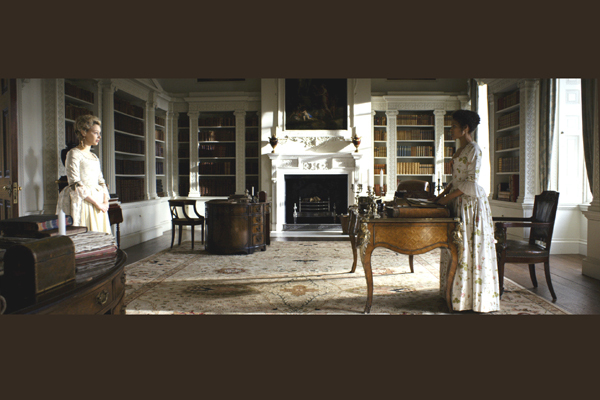 We shot in 3 different houses in London to create Kenwood House, and then a fourth joined to create the house in Bloomsbury, the London townhouse. 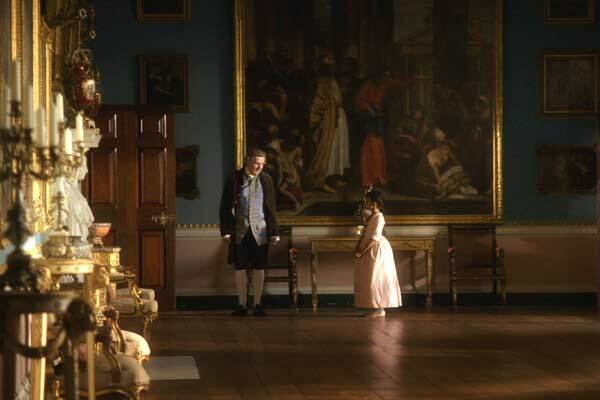 The brief that I gave them was that I wanted the early period of the girls’ lives, when they were still relatively young and innocent at Kenwood House, to be pretty much ice cream colors, pastels…gentle blues, baby pinks, very pale…literally ice colors. We wanted their world to have high ceilings, to be big rooms in which the girls seemed even smaller, so that the girls felt almost like dolls in a dollhouse. Asante: It was magical! 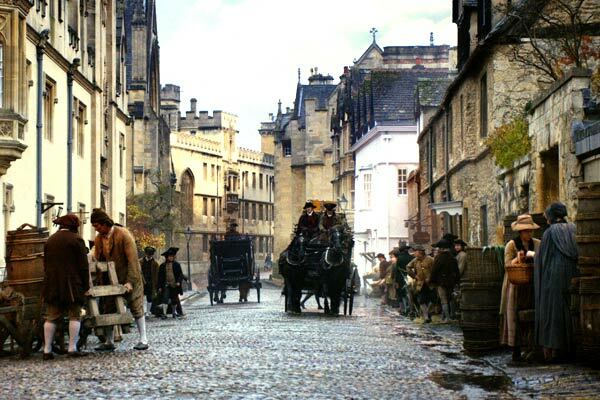 And then as we move to London and the girls become more sophisticated, the color scheme changes and becomes much deeper, richer, with darker woods. Instead of pastels, you have rich emerald greens, magentas, deep burgundies and midnight blues…a more sophisticated palette. That was what we were working with and had to pull together from different houses and dress them in a way that it felt seamless. The other thing is that we had to create a world that would express to the audience a wealthy world today. We have more things today, so in order for it to read correctly to the audience, we had to add more to our sets. We had to make them super opulent, and the decadent parts had to look super decadent. 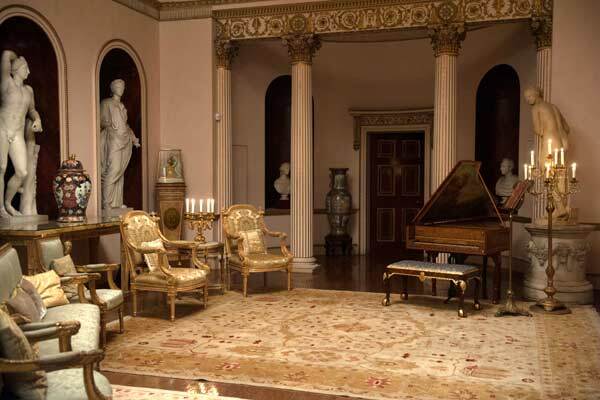 SET DECOR: It’s interesting because in the Georgian period, they tended to have less furnishings, because each of those would have been expensive statement pieces. And you’ve managed to have that combination where there is a bit more, but it doesn’t look at all crowded or Victorian era-ish, it’s very subtle. 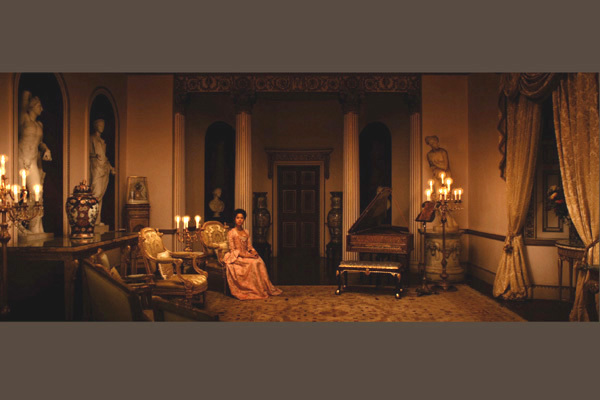 SET DECOR: Gugu Mbatha-Raw mentioned that she had felt a connection with Dido, but then when she was actually in the country mansion, it really came to life for her. Can you talk about how the furnishings help to inform the actors? Asante: Yes, absolutely. You know the furnishings were also very much about aiding me in staging the drama. The furnishings revealed details about our character’s lives. They also were about complementing the beauty of the characters and making sure that everything was harmonious. But it was also about having the staging. For instance, there was a point where Miranda Richardson as Lady Ashford is talking to her sons, James and Oliver. They’re sitting on what is called a kissing chair. It’s a serpentine chair with seats facing opposite directions, almost back to back. This one had 3 seats, so she’s able to whisper in her sons’ ears without being obvious. I had wanted something quite structured, but of the period, something different so it wasn’t the three of them sitting on another sofa talking to each other. And, again, it also had to be aesthetic and beautiful. Asante: Yes! And we worked with colors for each of the families, colors that would fit the personalities of the families. We liked the cold blues for the Ashfords, steely cold, business blues. So they had a lot of blue silks in their world, even their carriage was lined in blue-silk. We chose a kind of warm, but wealthy gold world for the Mansfields. 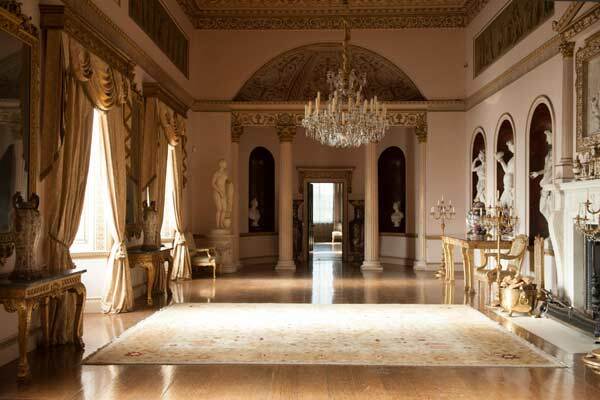 You’ll see a lot of gold in their home and in the carriages, particularly the one Dido travels in often. John Davinier’s world, apart from the fact that it is obviously much more down-market from Dido’s, was a very rustic world. We used stone, woods, natural colors to depict his world, because he’s authentic, he’s the real deal when it comes to her man of choice. Asante: Yes, it was important for her to see herself as reflected by society. And I wanted to have the mirror with sides, so her image is clear and distorted at the same time. You really see a moment of someone struggling with her own identity. Asante: Yes! I wanted the mirror reflection, and I wanted Lord Mansfield in that reflection as well. It was exactly as you’ve described, Lady Mansfield, her reflection and the reality. 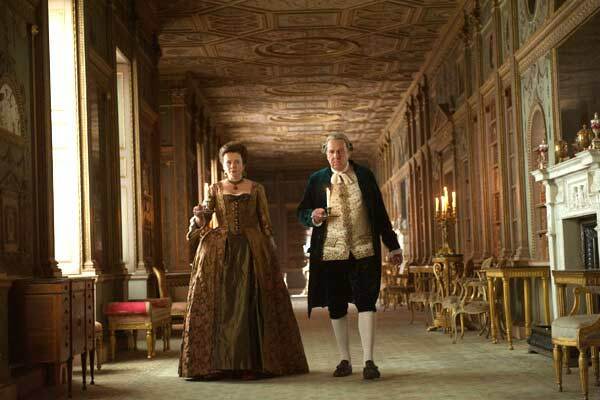 Lady Mansfield is a dual kind of personality in the sense that she’s a woman of her time, to a certain extent, with the stereotype of the man being the head of the house and the woman takes care of the household. 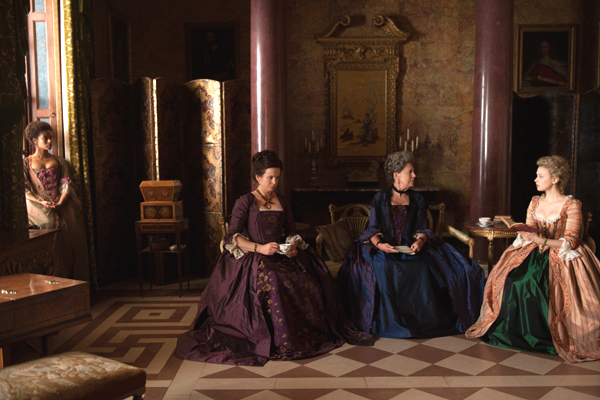 Yet, Dido couldn’t have lived in that family in the way that she did, dressed in silks and jewelry and being educated in the way that she was, without Lady Mansfield’s agreement. Lady Mansfield was a force, clearly, but she is very respectful of her husband, and yet she is very honest with him. She’s an intelligent woman and she has to do it in a very particular way. They have a genuine love marriage, and so she has to genuinely tell him when he’s being off, in the way you would with someone you love. So what you see are the two sides of her. And that’s why I wanted the reflection of society’s idea, the reflection versus the real woman. SET DECOR: And in the end, it’s their combination of love and courage that is reflected in decisions the younger people, Dido and John, make. Asante: So much of BELLE is about love and courage, and I like to think that sometimes love and courage are enough to conquer all.